Does your computer turn off randomly? A likely cause is overheating. 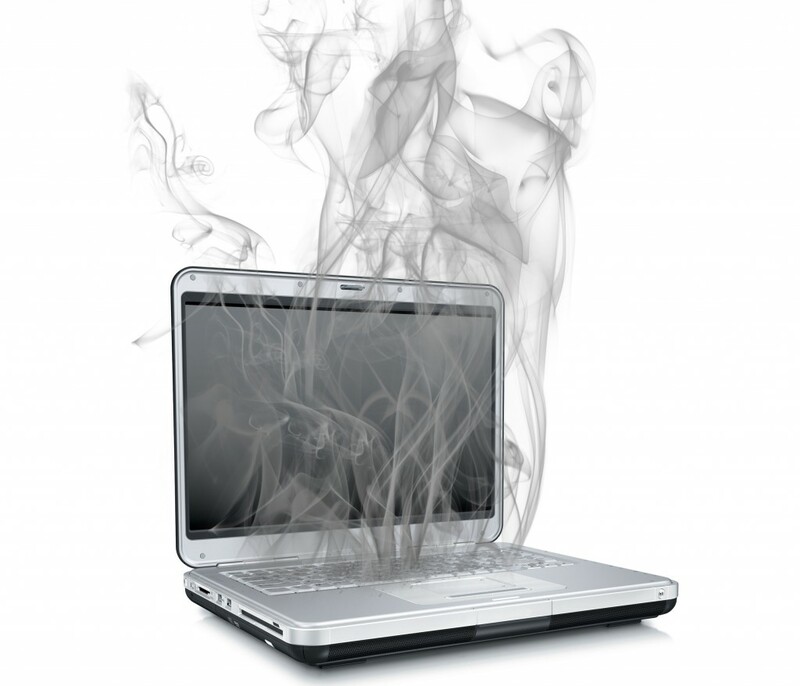 When the computer gets too hot it will turn itself off to prevent damage to the components within the computer. There are a few reasons why a computer can get too hot, for example, the fans may be covered and therefore heat cannot escape or it could be clogged up with dust. The most common cause is dust. Over time the laptop will gather dust between the fan and the vent and therefore the heat escapes at a much slower rate. In turn, this causes the inner components of the laptop to heat up and therefore once at a certain temperature the laptop will turn off. If this is happening to you then you need to clean out the fans. The easiest way to do this is to take it apart completely and clear the dust from the fan, this will allow the heat to escape through the vent as it should. For computer repairs Southampton this is something we can do for you. It costs between £50-£60 depending on the laptop and the time it takes. In order to prevent your computer from gathering dust make sure that your computer is kept in a dust free environment, especially when stored away. It will gather dust over time anyway and without taking it apart there isn’t much you can do. What this will do is give you more time before the dust becomes a problem. One of the easiest ways you can tell if your computer has a lot of dust in it is by seeing how hot the air is coming out of the computer when it is running. If it is very hot then you should clean anyway because this could prove to be a safety hazard depending on your surroundings. To summarise if your computer is turning off randomly and is getting hot then it is very likely you will need to clean out the dust from the fan in the laptop.